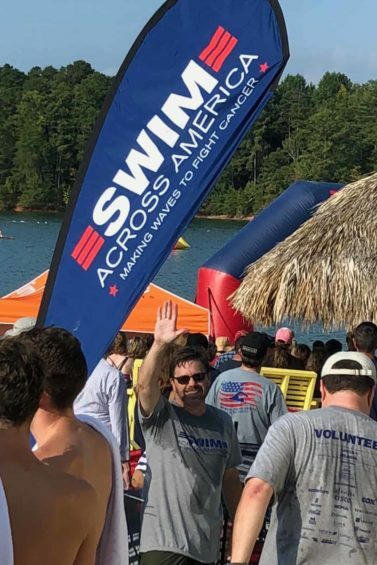 We definitely made a splash at this year’s Atlanta Swim Across America at Lake Lanier. It was our first year to participate and we owe a special thanks to Jeff Meyer and his suggestion to get involved in this worthwhile event by becoming a sponsor. We also had a participant in the Open Water Swim to represent us well. Thanks go out to Jim Ebert for saying yes to the training and the fundraising. Finally, a big thanks to those who involved volunteering and helping out at the event including Jon Brady, Jeff Meyer, Barbara Green, and Tommy Ryan. More than $700,000 for pediatric cancer research at the Aflac Cancer & Blood Disorders Center of Children’s Healthcare of Atlanta was raised from the event! The event reached the spot of #3 for total fundraising for open water swims among the 18 events in America. That’s wonderful! Dr. Douglas Graham and his research team including Dr. Deborah DeRyckere and top investigators are leading a clinical trial in hopes of a breakthrough for patients with Acute Myeloid Leukemia (AML). 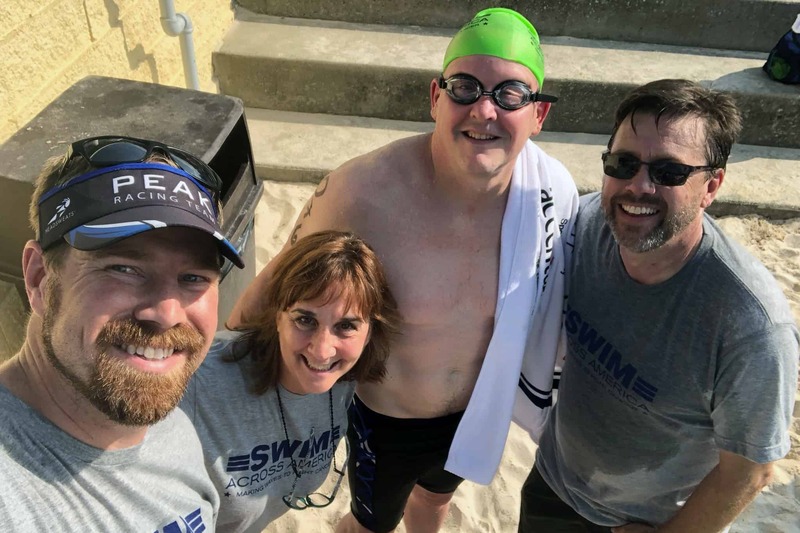 The funds raised from this year’s swim will directly support the multi-year, $1M commitment from Swim Across America – Atlanta announced last fall in support of the Aflac Cancer and Blood Disorders Center of Children’s Healthcare of Atlanta and their partner beneficiary Winship Cancer Institute of Emory University. Jeff Meyer volunteering the day of the event.